Monument Mountain is a very popular hike; it's a short climb with great views at the top. This week the Tuesday Berkshire Hikers walked up to Flag Rock first, on the west side of the mountain, a wonderful spot in the process of being preserved. 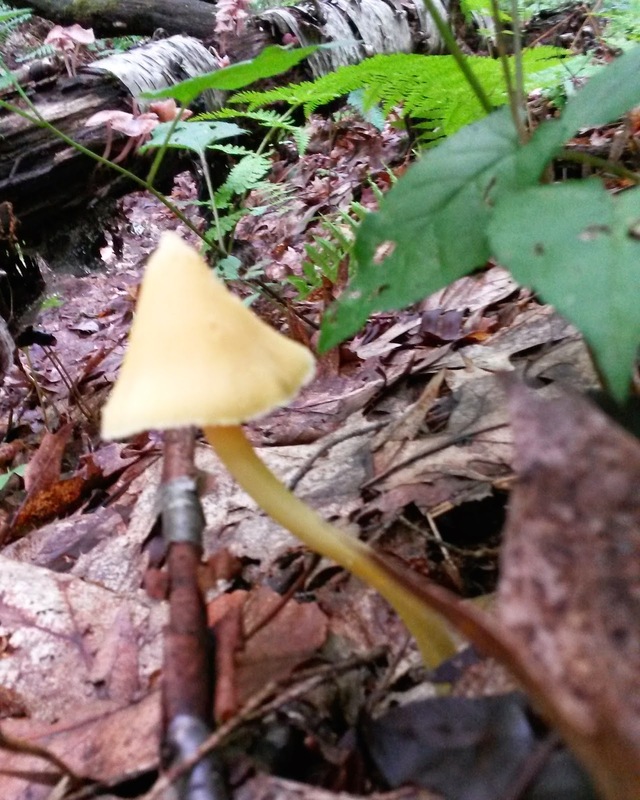 The mushrooms were what struck me the most on this hike. 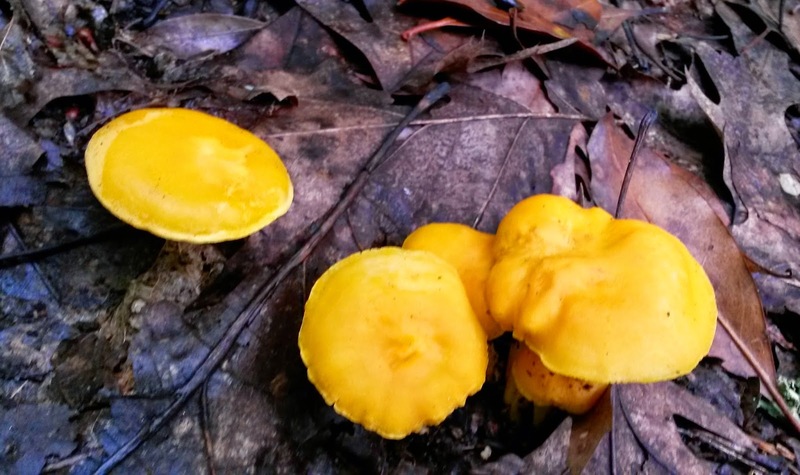 I know very little about mushrooms, but enough not to pick or eat them! One of these days I will learn more about them. 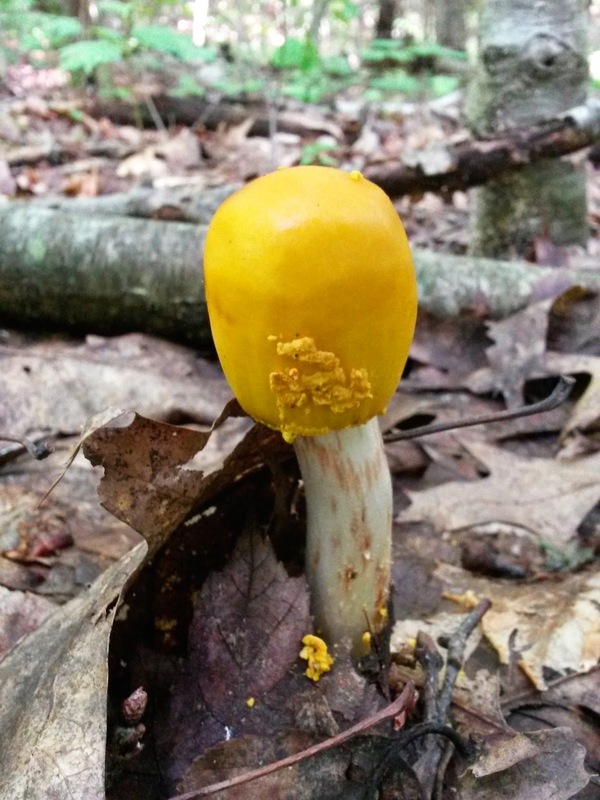 The size, color and variety were amazing. 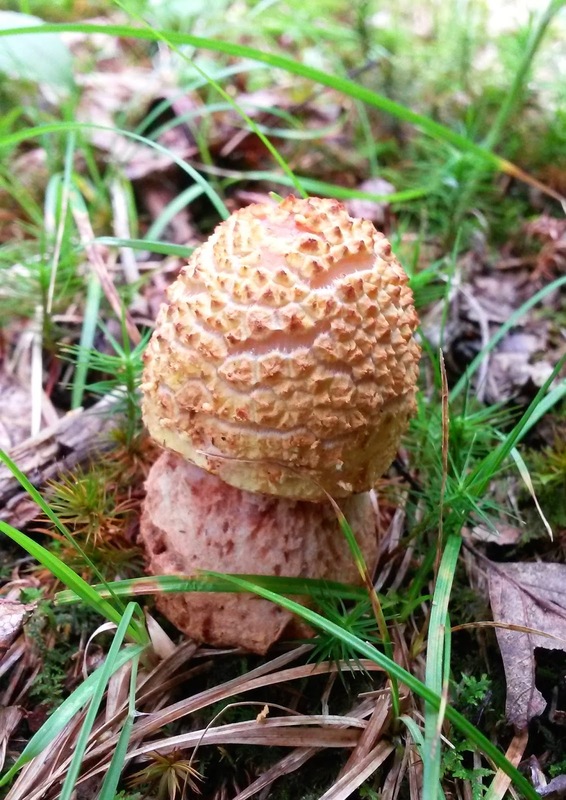 With all the wet weather this summer, the mushrooms appear to be thriving. 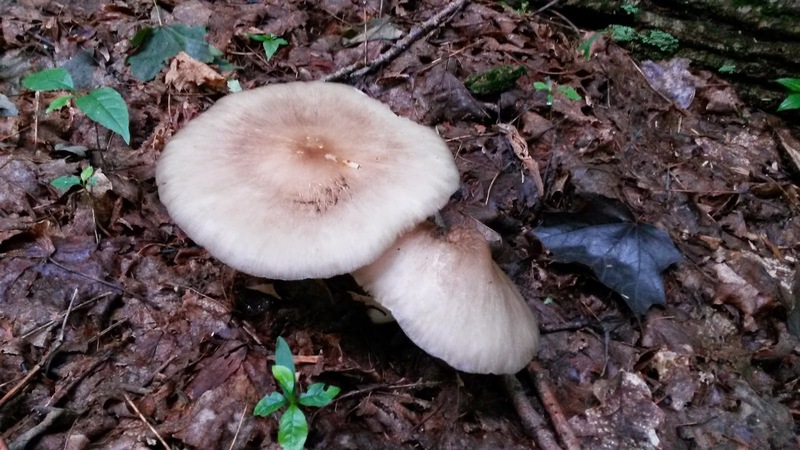 If you know your mushrooms, leave a comment, to help me identify them. I think this is a Spotted Cort. 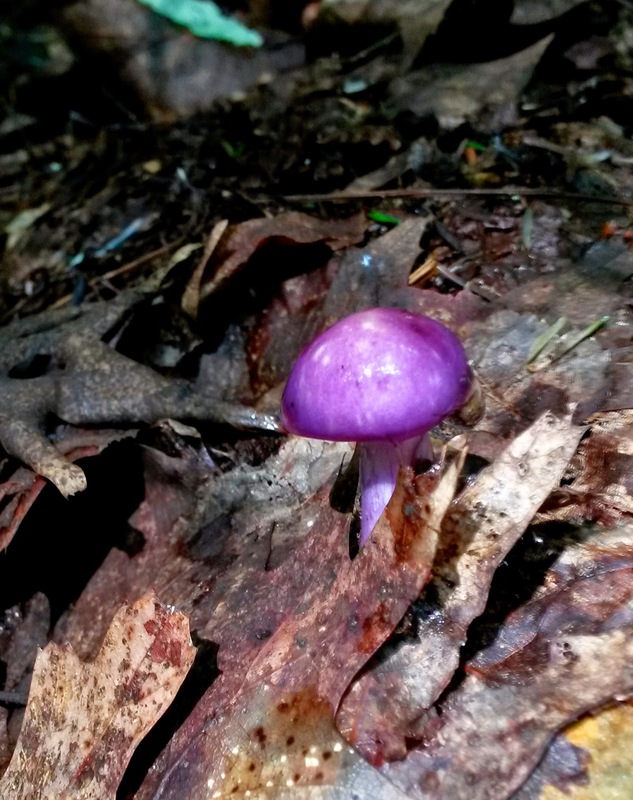 Looks like something from Alice in Wonderland! 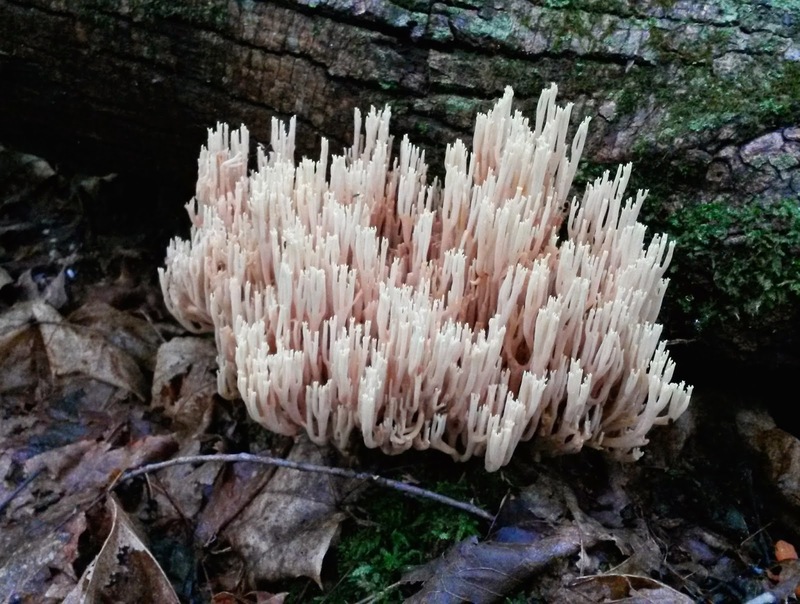 I think this is some kind of Coral mushroom. 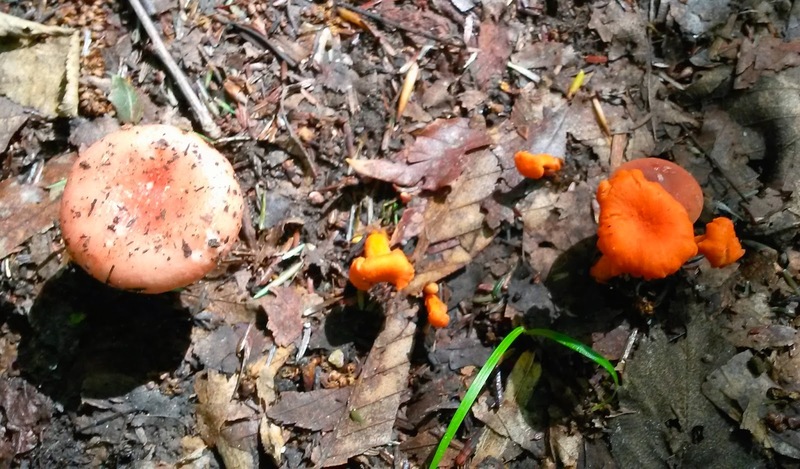 Yes, the tiny ones on the right were actually red! This one looked like it was inside out! 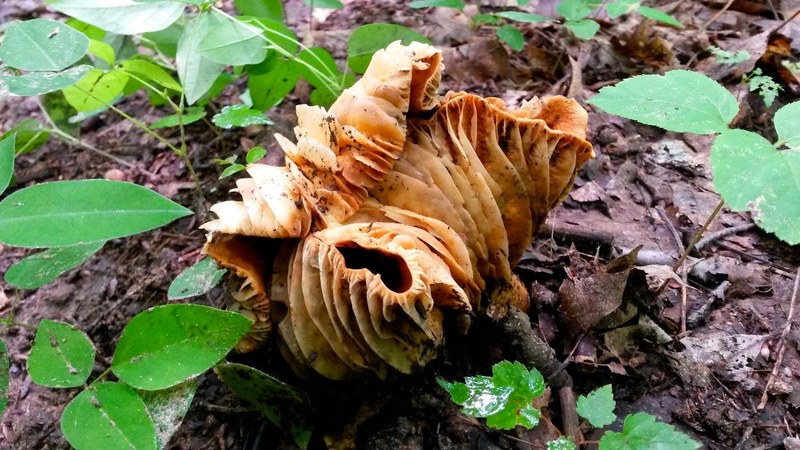 the most deadly mushroom in eastern North America! These were hard to see because they blended right in with the leaves. 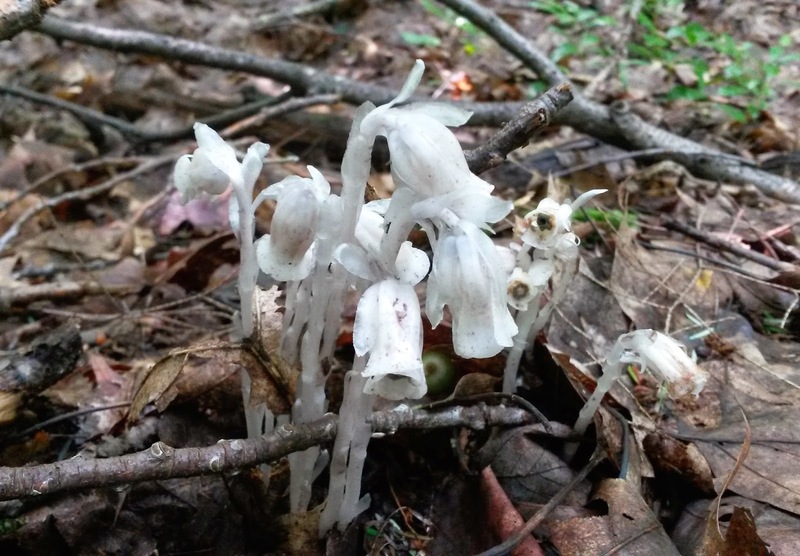 This is Indian Pipe, actually a plant, not a fungus. 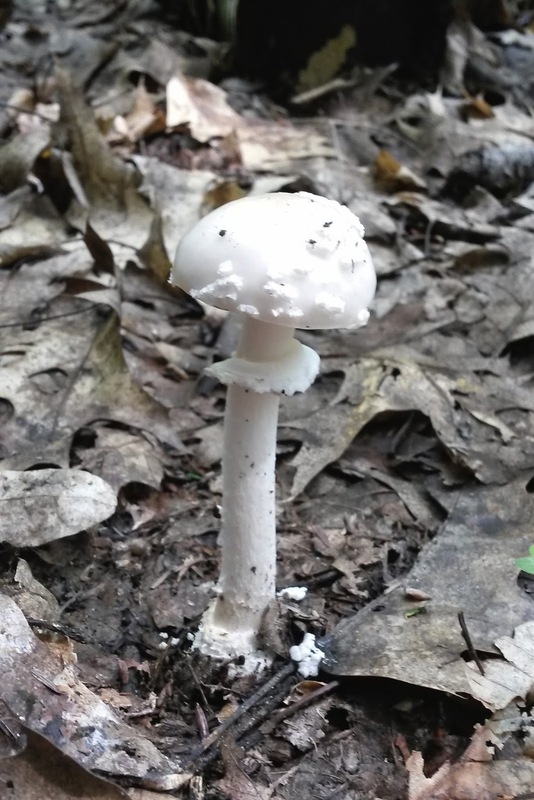 Because it lacks chlorophyl, it appears white, like many mushrooms. 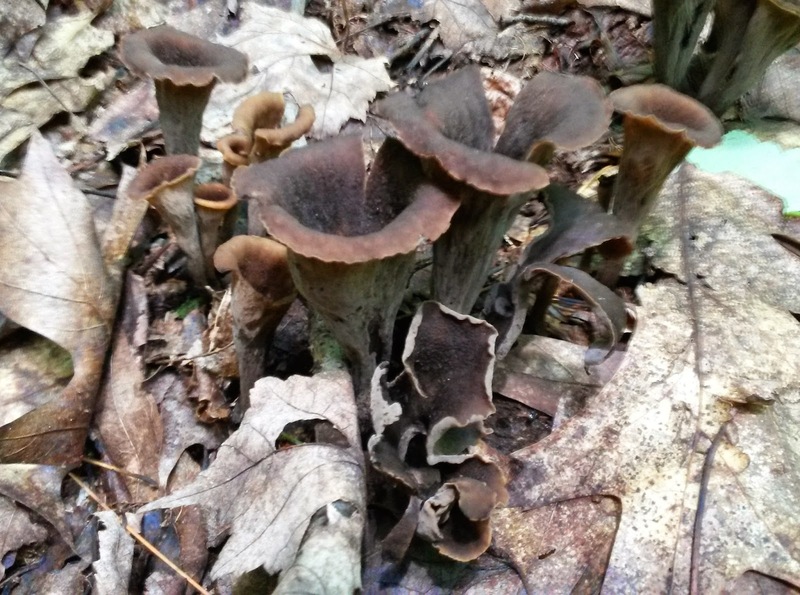 My book showed mushrooms this shape called Witch's Hat. I'm not sure this is one even though it looks like it should be! 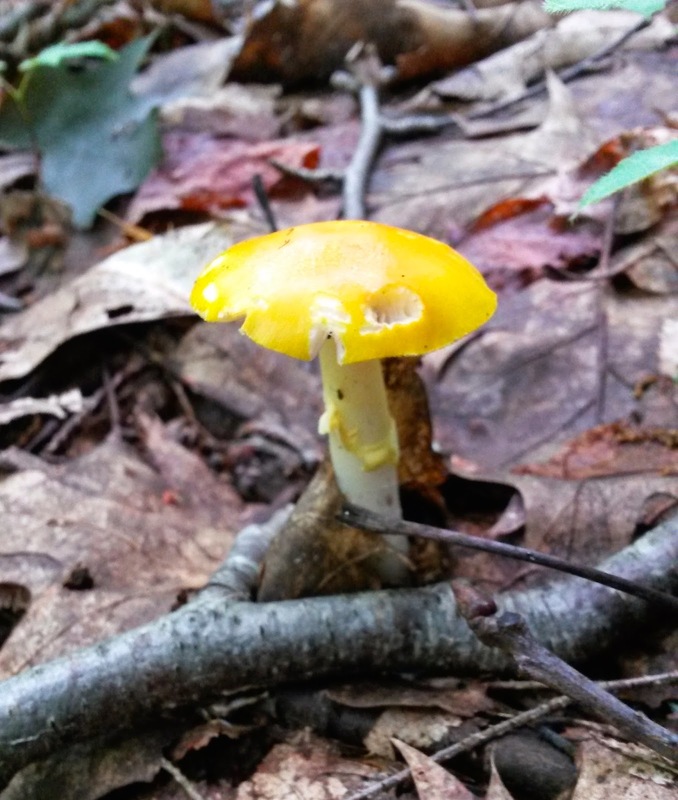 Possibly a kind of Amanita.